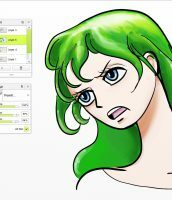 This tutorial follows on from Drawing Manga in ArtRage: Sketching and Inking and Drawing Manga in ArtRage: Tools & Canvas and assumes you start with a drawing that you want to colour. 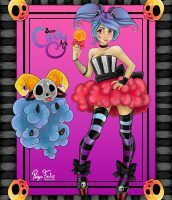 This will be the example used for colouring. Want to try colouring it yourself? Download here! Ready to colour? Great! 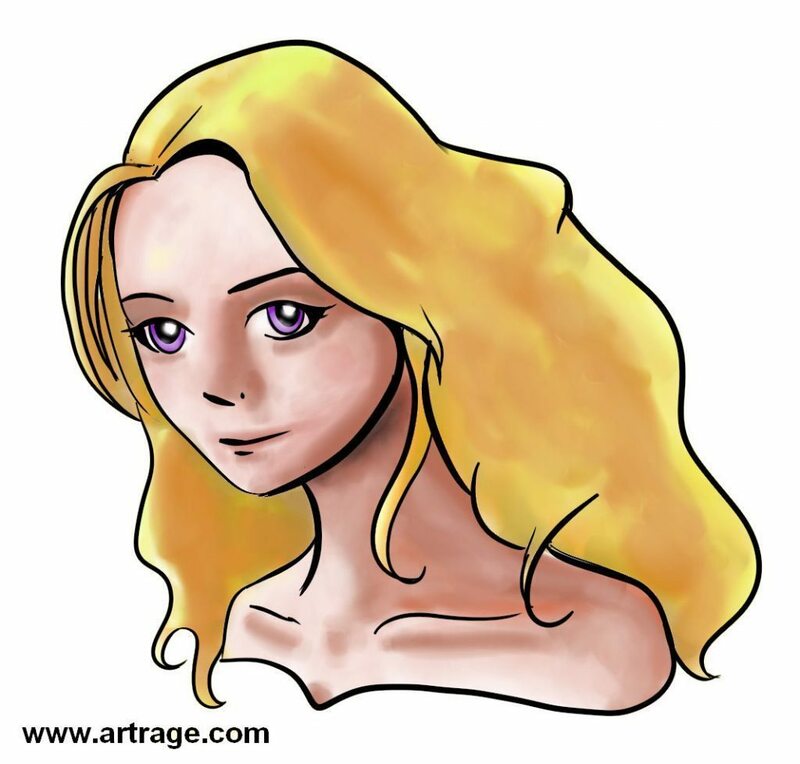 (If you need a line art, you can download the picture on the right and import it into ArtRage). 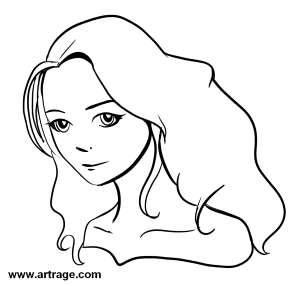 Most manga-style art begins by laying down flat colour inside the lines, so add another layer under the line art and choose your colouring tool of choice. If you’re not sure what to choose, then keep reading! 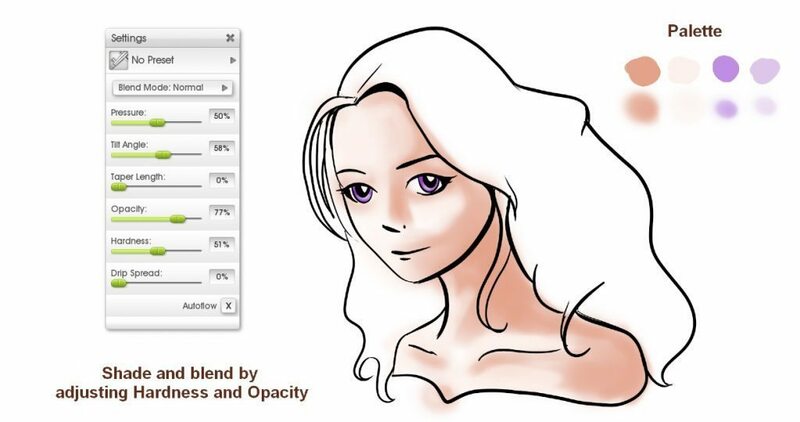 ArtRage 4 offers a realistic blending mode. This isn’t on by default, so you need to turn it on by going to View > Color > Real Color Blending. Turning it on will give you a more real world result (for example, blue and yellow will be green) and mixed colours will generally be a bit more intense. 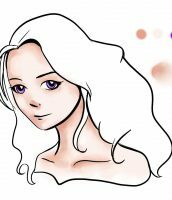 Leaving it off will mean that the colour mixing acts the same way as other digital art programs and everything will be slightly greyer overall. For more about how colour works in ArtRage, see the manual and this guide to custom colour palettes. What effect are you looking for? What tools do you enjoy using? Different people prefer different techniques, but the tools you choose will matter. If you prefer full control, or flat colours and distinct shadows and highlights, you are probably best off with the non-blending tools like the Fill Bucket and the Ink Pen. You can then soften the edges by blending it using the palette knife, blur layer filter or Airbrush. 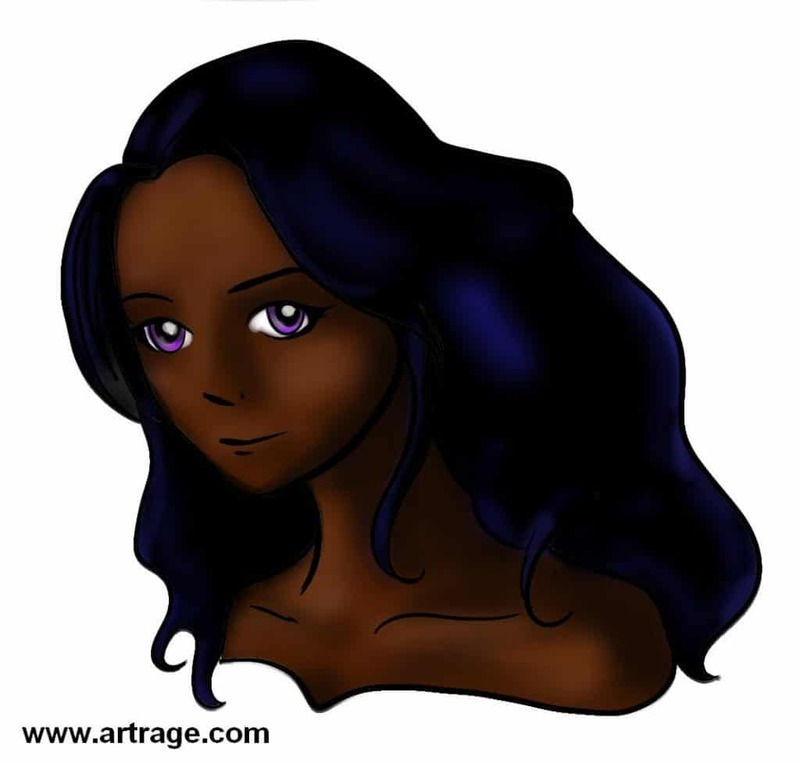 If you prefer naturally blending as you go, then the Felt Pen or Airbrush are probably the best tools to start with. All of ArtRage’s natural media tools (oils, watercolour, pencil, wax/chalk) will blend into each other as well, so you can easily switch to a different tool for a specific effect as you become more comfortable with the options available. Because we’re working without paper texture, a lot of the tools may seem fairly similar, but if you turn textures back on, you’ll start seeing some huge differences. They also ‘feel’ different to use, in ways that are hard to explain without actual trying them. Test a few and see which you like best! You can also use custom brushes, gradient fills and stencils (masks) to get very specific effects, but that’s a bit advanced for this tutorial (though there are some examples below!). Fill the entire area (e.g. 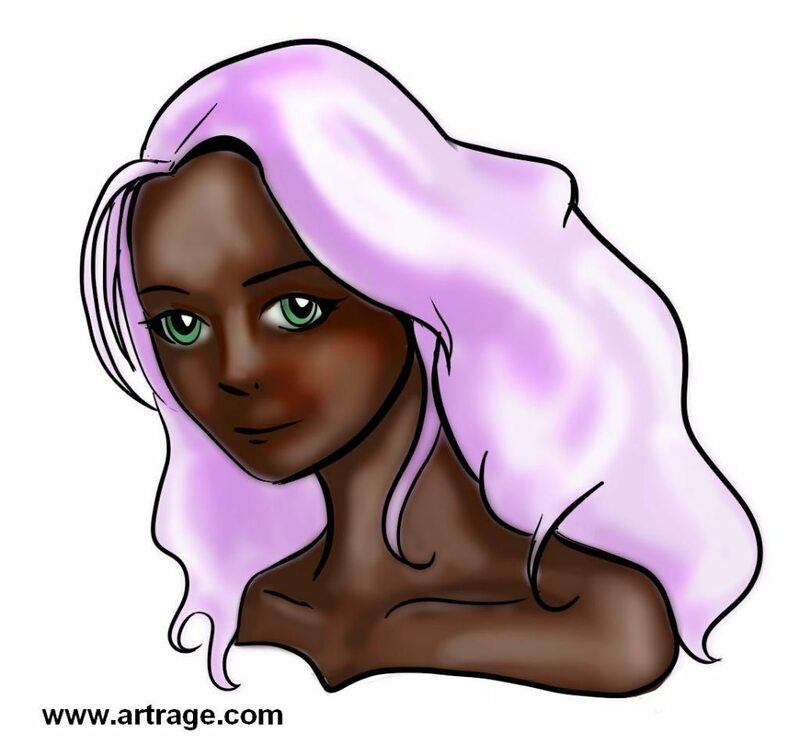 the face, the hair) with colour, then add shading and highlights. This allows a lot more control, but can take a lot longer. 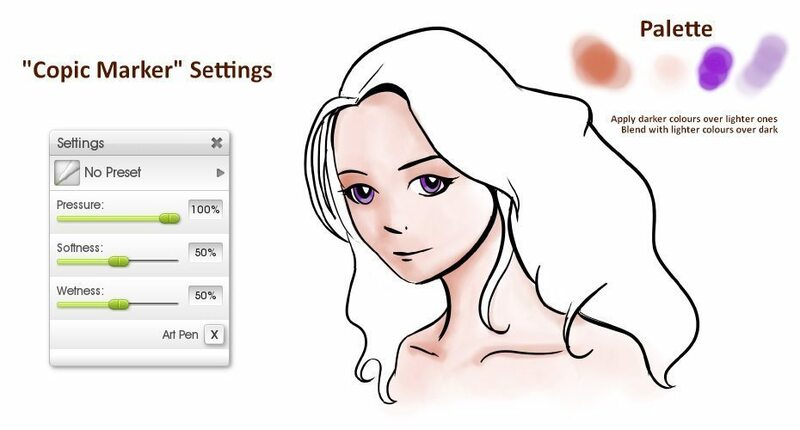 Figure out the areas of darker and lighter colour as you go, and blend them as you paint. 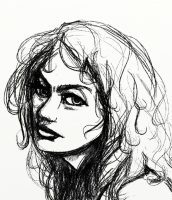 The Ink Pen is one of the most ‘digital’ tools and gives you a great deal of control. It doesn’t interact with the canvas texture, other media, or lighting and therefore is completely flat. 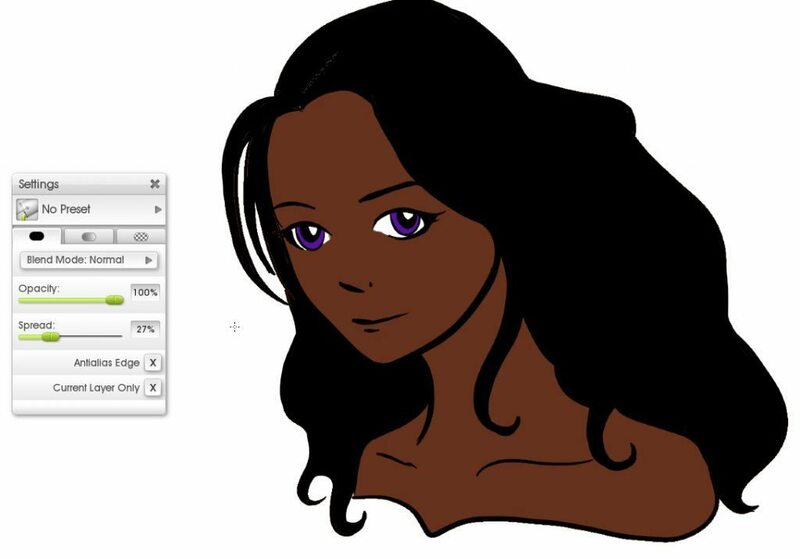 The Fill Tool is the bucket used in everything from MSPaint to Photoshop for filling flat areas of colour. Basic, but helpful! Again, it has some useful settings in ArtRage that let you use the lineart on the layer above, and adjust the opacity and how far it spreads. Untick ‘Current Layer Only’ to add the colour to a separate layer. This keeps it safely separate from your line art. You will probably notice some horrible white edges the first time you use the Fill Tool. This is because the ink pen lines are antialiased – the edges are smoothed out so there isn’t a pixelated edge. This means that there isn’t a clear line between the ‘fill’ and ‘do not fill’ areas. Luckily, this is easy to fix when you are filling in nice black and white lines. Just use the Magic Wand mode of the Selection Tool to select the areas you want to fill! If you need to fill something that isn’t easy to select, and you’re having problems, then what you want to do is increase the Spread setting. This will tell the Fill Tool to ‘spread’ out over all colours that are only 15% or 23% (or whatever number) different. So white and black are 100% different, but other colours will be somewhere in between. You may still have some lines that don’t fill nicely, but this will depend on the colours you’re using. Warning: If you turn Spread up high enough to fill all of the ‘smoothing’ effect (antialiasing), then you may start seeing jagged pixel edges. You can go over the edges again with the Ink Pen to fix them up at the end. Fill in the colours, then you can tidy up! The flat colours are all done. Now you can add detail using another tool. The important things to remember here are that these tools act just like the Photoshop versions, and will apply to the entire layer. The only way to limit the filled area is to create an active selection. Setting up the selection area can take a while, but then you can fill everything with a single click. Alternatively, you can fill a background layer, and then erase (or paint over) the pattern from anywhere you don’t want it. In the example below, I drew some lines on a separate layer to define the shadow areas, then used the Magic Wand selection tool to select them all at once. I then filled them with the Pattern Fill and hid the layer with the extra lines. The Felt Pen is a nice colouring tool that’s halfway between pastels and watercolours. It’s great for flat areas of colour that need subtle blending effects. It has slightly more natural feel than the Ink Pen and let blend as you work. 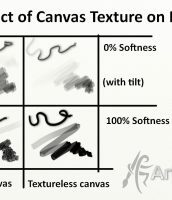 It is very sensitive to canvas texture and pressure but it does not change size – a felt pen tip is a fixed size. Pressing harder just means more ink flows out and wets the paper, not that the size of the stroke gets bigger. If you want a realistic ‘drying marker’ effect (where the stroke gets darker or lighter in response to pressure), you can link Wetness to Stylus Pressure in the advanced Stylus Properties section. The Felt Pen includes an Art Pen mode which switches it to behaving more like a proper art marker pen. Turn this on to get more solid colour that mixes almost like paint and apply lighter ink over dark. 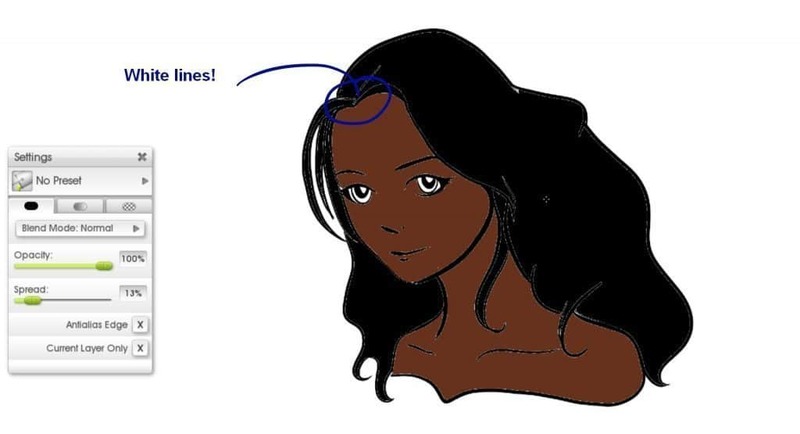 You can also get a good Copic Marker effect with the right settings, which lets you layer the strokes to build up colour and blend subtly (white makes a very good blending tool), and you can download Copic colour samples from DeviantART. Colouring with the Felt Pen with Art Pen on. Like the Ink Pen, the Airbrush is a purely digital tool that doesn’t mix as you paint or react to canvas texture. It can be used for subtle added shading and ‘glow’ effects, but also makes a good Photoshop-style brush if you tweak the settings. The Airbrush has a lot of options! The Watercolour brush is a very popular one for delicate shading and blending and it’s a lot of fun to use. However, it can be a little hard to get the hang of the first time you use it. It’s much easier to use on a textureless canvas, though. Remember, you can use layers to keep things separate, you can blend everything later, and you’re allowed to switch to other tools! Once you have your colours down, you may want to blend the colours in neatly, to soften sharp edges and help shape the shadows. If you’re using a traditional tool that blends as you work, you may not need to do this as an extra step but there are usually some details to tidy up! 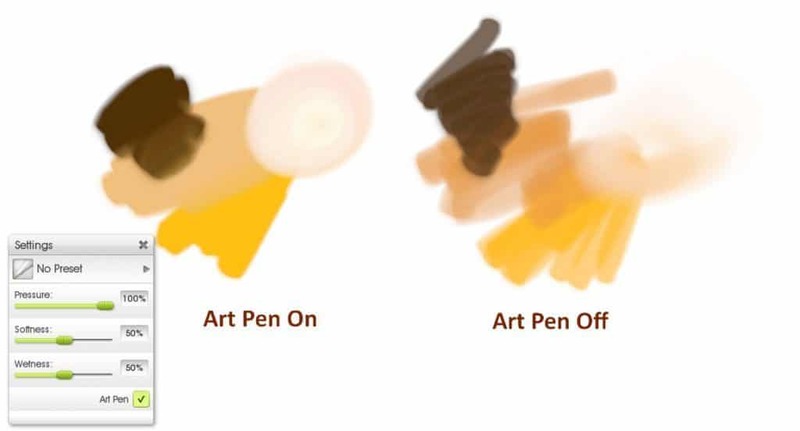 Look at the Palette Knife’s options for blending effects. 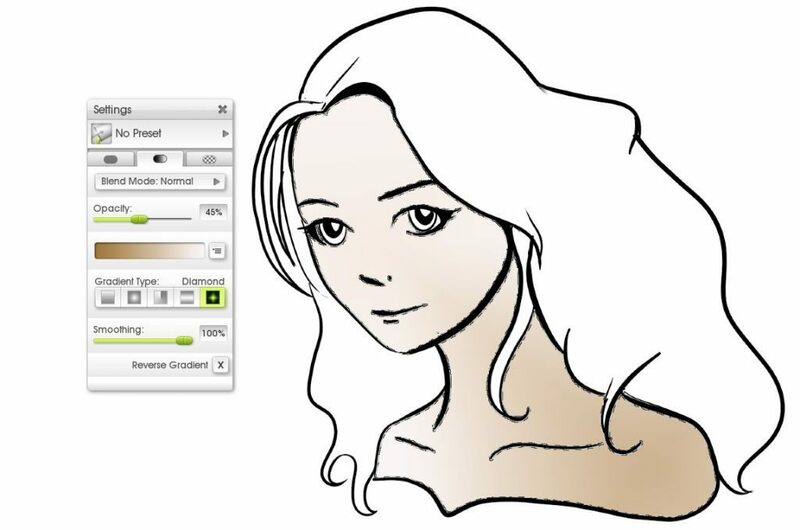 For smoothly digital manga art, you should use the Blur and Wet modes (see this guide to the Palette Knife presets). You can also blur an entire layer at once in ArtRage 4 by going to Edit > Blur Layer to gently soften your colours (this is also a neat way to create perspective by blurring the background). 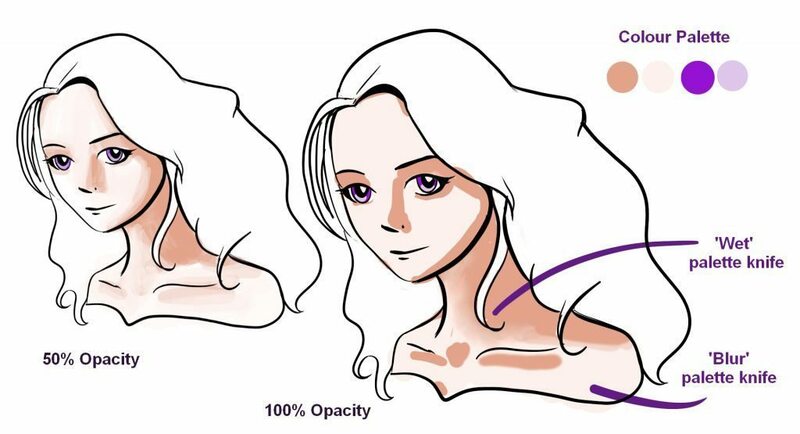 Go over everything lightly with a very low opacity, low hardness Airbrush. Add highlights last. 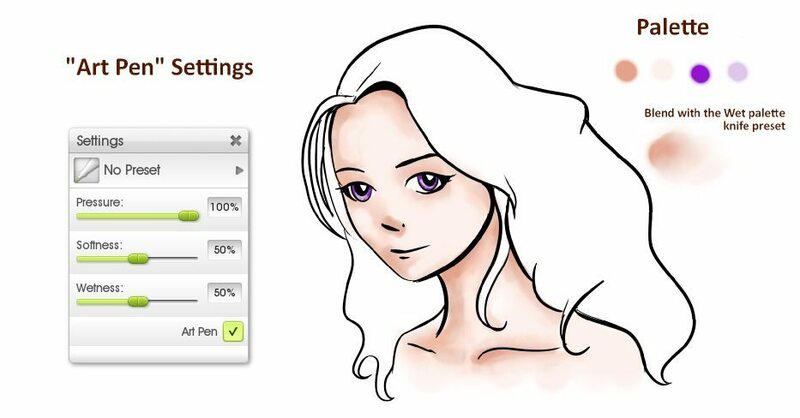 To get highlights on the eyes, you can add white using the same tool you were using to draw, or the eraser. Personally, I prefer either the Airbrush or a slightly translucent Ink Pen as it makes it easy to get a round shape and adjust the brightness. The Ink Pen or the Airbrush are good for adding highlights. You can also quickly clean up using the Magic Wand selection tool. 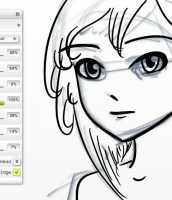 If you’ve gone over the edges, select that area in the line art above, switch back to the colour layer, and press delete! 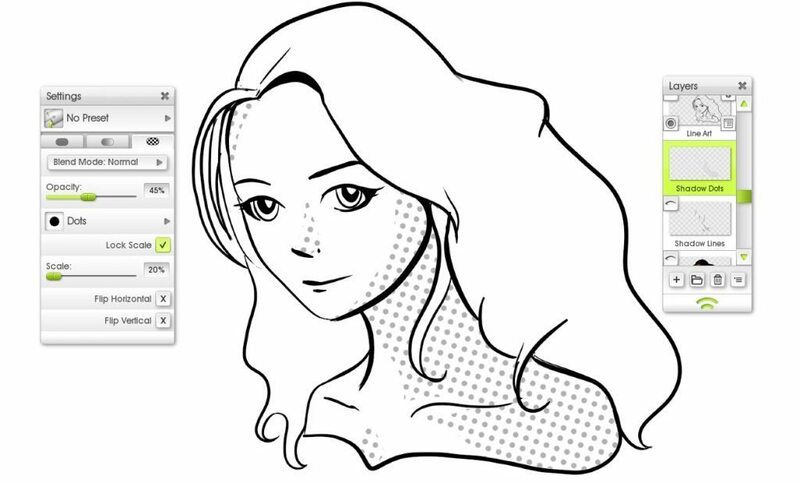 Sticker Spray (lets you import Photoshop brushes and includes a lot of stuff like ‘hair strand’ brushes in the presets). 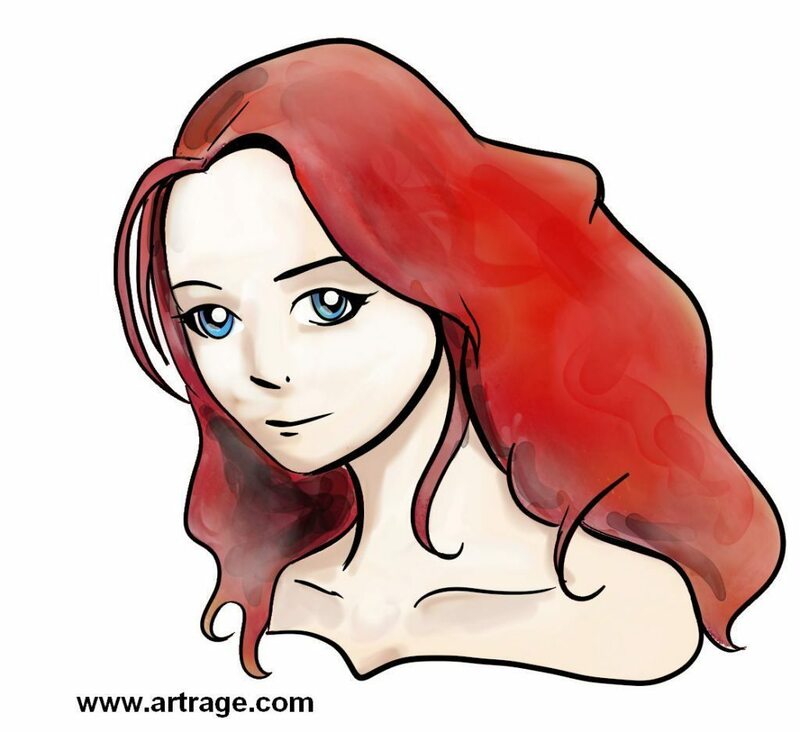 For more help with using ArtRage, check out the list of community tutorials. And don’t forget to check the FAQ section!